This 16 oz. 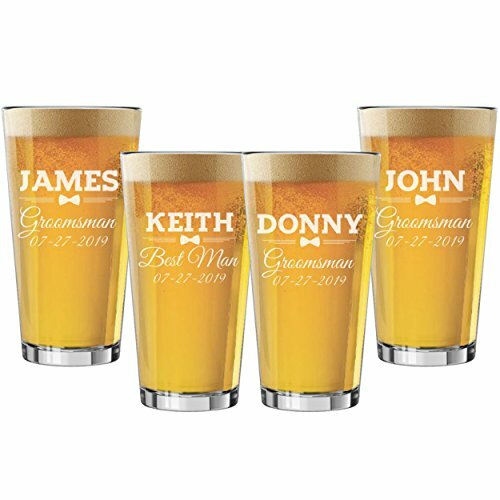 custom engraved - hand crafted beer pint glass is ale-bsolutely the perfect gift for your thirsty groomsmen! This elegant glass is hop-ing with various set options to make sure everyone in the wedding gets their own glass! If you have any questions about this product by The Wedding Party Store, contact us by completing and submitting the form below. If you are looking for a specif part number, please include it with your message.